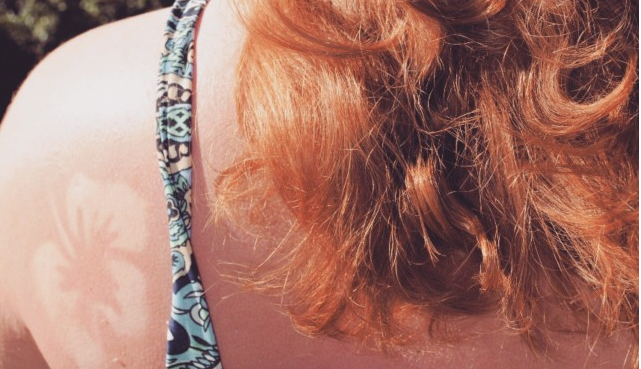 There’s a marginally popular hashtag on Instagram called #sunburnart. People add it to photos where they’ve caught the sun and been left with an interesting pattern of burnt and unburnt skin. But Time, Business Insider, People and a number of TV stations, including ABC News, have picked up on the ‘trend’, implying that a substantial number of users are deliberately burning themselves to create art. The more popular #tantattoo hashtag does throw up thousands of images as Business Insider notes, but while some feature deliberate attempts to get particular burn patterns, most are about accidents. Another hashtag flagged up by the site – #suntattoo – actually features many more images of literal sun tattoos rather than shapes caused by the big burning orb in the sky. This is a classic example of reporters lazily ignoring the context of social media posts in pursuit of a scary narrative. It would be worrying if huge numbers of people were deliberately getting burned to join in with a hashtag trend, but they’re simply not. Surely professional writers should understand sarcasm and irony – that’s how Instagram users are predominantly using these hashtags. And if you’re really concerned about a dumb fashion statement turning into a trend, you don’t write articles that say it already is one.